Pours a hazy pale yellow color with a nice, solid white fizzy head with decent retention. The head has completely dissipated, revealing very little lacing. Aroma is of citrus and banana. Initial taste is a light bitter that moves to a slightly sour finish with a nice mouthfeel. 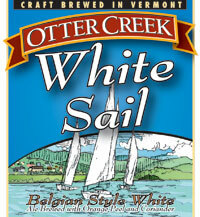 Medium bodied, it has a creamy texture with a slightly dry mouthfeel and light carbonation.